The energy, the people, the ideas that are flowing here are phenomenal.It is a great way for IBM to leverage this information to help us make smarter decisions. Connecting people across different countries, different continents, different religions - taking down barriers and creating a great business environment. It is absolutely amazing how many people you have here - from all different ranges from different types of companies - I am definitely impressed with the size of it and that fact that Webit brings all categories of digital and tech in one place. 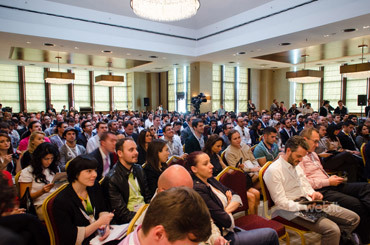 I am amazed to see how many people are joining Webit from many, many countries. Very good speakers, very good crowd of people. I am amazed! The number 103 is the most impressive thing about the Congress.There are so many different cultures, so many points of views, so many brilliant ideas, that this is the most successful part of the Congress. 103 countries - I will remember it forever. 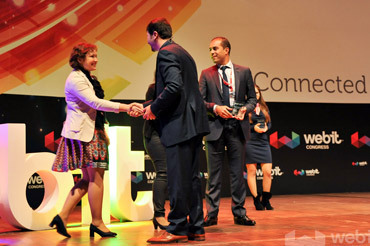 Webit Congress connects industries, countries and most of all people. I go to conferences all the time, all over the world - this one is unique! I love coming here where you meet people you don't meet anywhere else. I think Webit is amazing! It puts together a really good people that are just the top of the industry from all over the world. 103 counties, 8000 people. I hope everybody - enterprises, investors, entrepreneurs would join this congress and we are part of it. It is so large and so incredible diverse that very, very few conferences around the world look and feel like this. 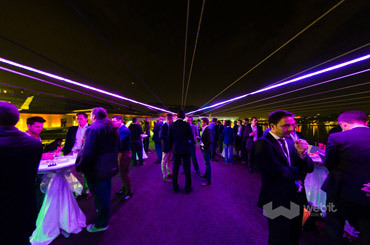 Webit has captured something really, really special here in Istanbul. I have seen this event grow over the past several years and this is definitely the best one yet. Very successful event! I think a 103 countries says its own story, isn't it? I have seen a very rich mixture of publishers, of advertisers, of people from agencies, technology people - it is a really great way of connecting the fabric of the online advertising industry. It is a great opportunity for everyone from all industries coming together, talking about our recent trends, challenged and opportunities. I think Webit is a key industry initiative to drive the conversation forward, share case studies, share successes and failures that helps us move forward. I didn't know there is a conference of this size - a platform that a lot of people globally show up. We are a global company and understanding what is happening is so many different companies makes a lot of difference for us. It is incredible, it is fantastic. The venue is fantastic, the number of people and the quality of people..you get to meet different people from different markets - a leading web, digital, ecommerce event .. I think it is very exciting and something that will just get stronger. You know every year there are more companies with new ideas addressing the challenges in the market. It is very exciting. I think it is great to see the number of attendees this year here in Istanbul. It is fantastic to see the East and the West meet here. We have a number of not just large companies, but startups emerging, investors meet together finally to having a global feel toward it. 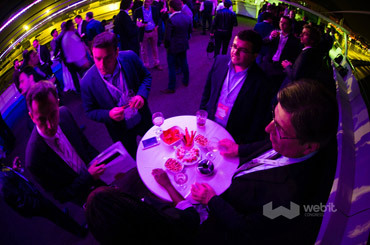 Webit is a fantastic event! I have met here people that I never thought I can meet out of the 8000 people. 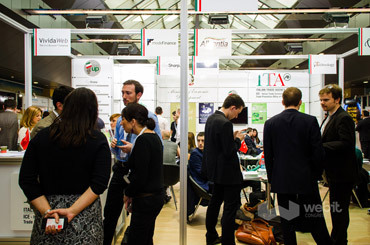 A lot of new connections, a lot of new people from all over the world - all exchanging ideas - I think it is a great event. You really realize here how international it is, people from all over the world coming together, talking about what they whether they come from the corporate world or more entrepreneurial environments - i think it is just a great melting pot of different people from different parts of the world, doing different things. Istanbul is the right place to do that - as the connecting link between Europe and Asia, but also so many people from other different places - great to be here. This is my first time here and I am quite impress from the amount of people, the diversity of where they are coming from, it is a great surprise for me. I must say I am super excited. I got a change to connect with a lot of people you don't get access to, which is amazing. 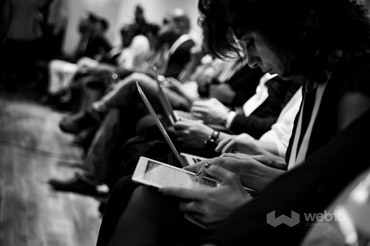 Webit is a physical connecting point - where physical meets digital. It is not about the 8000 people, it is about the audience I have to say that based on the audience and the questions I got - this is a really remarkable, entrepreneurial minded crowd. 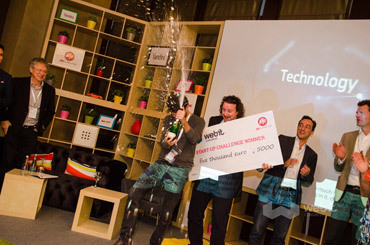 I am really exited to see what kind of an impact Webit is having. It is very important for Soundcloud based on our global perspective. I see a lot of energy and creation coming from here and this is the place to be! And amazing city of Istanbul is the perfect place to be. I anticipated this to be big but not that big. 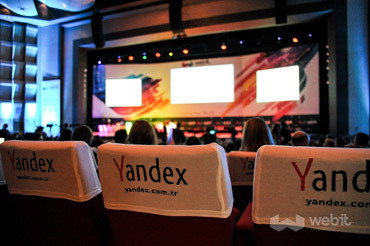 Clearly our intend is to make sure that Google has a permanent presence at Webit Congress. This feels like United Digital Nations to me! You've got people from so many different countries, a lot of energy. A truly global event. I love the excitement and interest and enthusiasm, this is a great event. One of these events you should not miss! The 2013 was even bigger! I thinks it is fantastic. 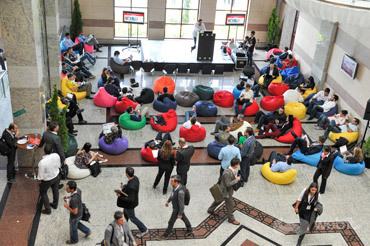 You can get a sense of the enterprise and the entrepreneurialism at Webit which is fantastic. 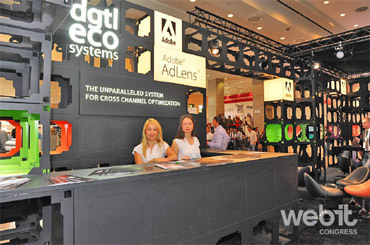 It has the same feel of DMEXCO or CES. I am amazed by the energy that I can feel here. So many attendants from so many different origins. All about digital economy, advertising, technology. The energy level and the entire group of entrepreneurs that are here... 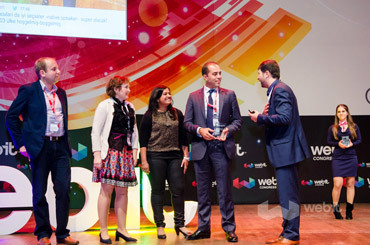 The Global Webit Congress was superb!!! Thank you so much for having IBM onboard. I have to say I am just blown away. 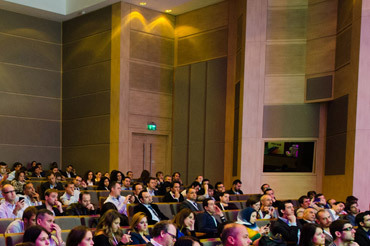 The number of attendees, the caliber of speakers - you really see the power of digital here. Watching all these people from different countries, all these companies presenting solutions, all the starups - I liked a lot the Startup Village gives me a taste of what is going on. I have never seen such line up of speakers anywhere outside of United States. I am impressed with all of this. I didn't expect it t be so big. Actually one of the biggest events I have been at. The quality of the people who are speaking and participating is awesome. I was surprises how vivid it is. How many people are here and how interesting ideas are shared. It is probably one of the largest digital events I have been to. The Congress itself was fabulous. It is the greatest collection of C-level executives and digital decision makers. We have a lot of leads, great content, a lot of clients a lot of business that can be done here. 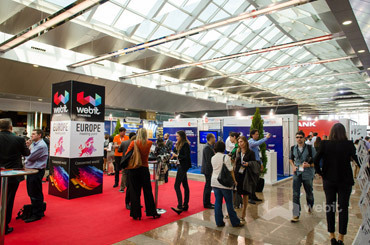 Webit is collecting all the sort of knowledge from lots of different countries. A platform enabling people to share experience throughout the different regions. People from Sweden to Saudi Arabia, to Africa and the States - this is really amazing. I have been to many conferences all over Europe, but I must say this one is amazing. It is masive. I am surprised but its size! 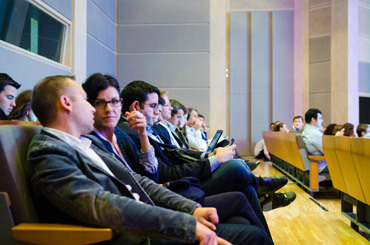 The quality of the speakers & the attendees is great! It is breathtaking, so live and vibrant here. So much inspiration coming from so many corners of the world. This is amazing! Leaders of everything, of starups, of VCs, of companies, of marketing, of eCommerce - this is a fantastic experience. I see more people here using Twitter and we are all communicating between all the different streams and sessions, between the moderators and speakers! 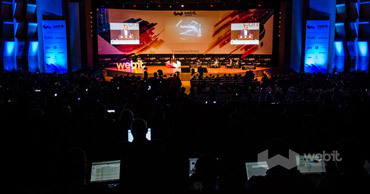 I was amazed at Webit 2013 - by both the breadth of the startups I'd met, and in the depth of innovation I saw. 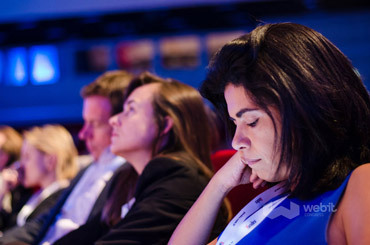 Powerful resources, in-depth sessions on current topics, effective networking opportunities and inspired attendees to become better leaders in their businesses.